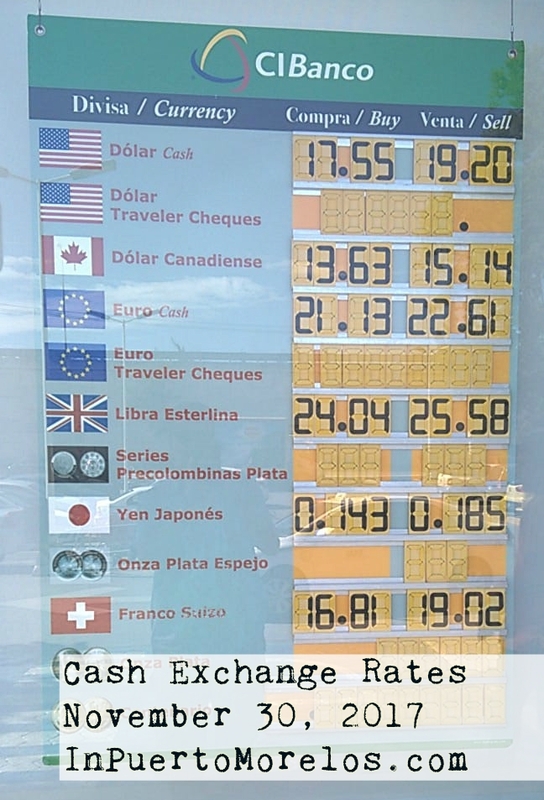 Here are the cash exchange rates for November 30, 2017 at CI Banco & G Capital in Puerto Morelos. I post these rates on occasion so that you can compare these rates with the rate your bank or the ATM may offer. 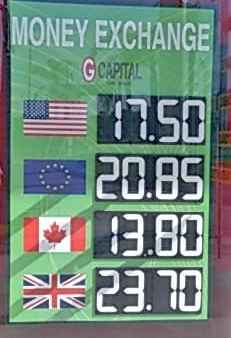 Just for reference, the exchange place on the square has USD at 17.40 and CAN at 13.40. If you use the exchange place on the square, be sure to count your money carefully before you leave.